The early ripening vine is prone to the real mildew and Botrytis, It produces acidic white wines with herbal aroma and aging potential. 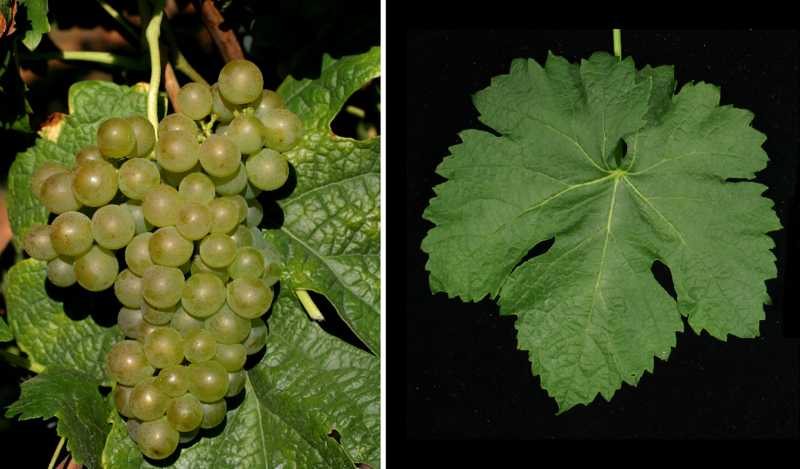 The variety was first mentioned in 1781 in a text about the white varieties in Hermitage. She will be especially at the Rhone grown where they are in the fields Châteauneuf-du-Pape. Côtes du Rhône. Crozes-Hermitage. Hermitage. Saint-Joseph and Saint-Péray is allowed. Furthermore, she is also in the Languedoc-Roussillon and in Savoy in the area Chignin (under Bergeron). Often she is with Bourboulenc, Grenache Blanc ( Garnacha Blanca ) Marsanne and Vermentino blended. In 2010, Roussanne finished in France a total of 1,457 hectares with a strong upward trend (in 2000 it was 760 hectares), as well as 110 hectares in Italy where they are in the Tuscan DOC area Monte Carlo is allowed. There are stocks in overseas Australia (83 ha), Chile (6 ha), Canada (5 ha), New Zealand (2 ha), South Africa (45 ha), Uruguay (3 ha) and in the US states California (140 ha), Oregon and Washington, It occupied a total of 1,851 hectares of vineyards in 2010 with a strong upward trend (ten years earlier it was 874 hectares). This page was last modified at 13 January 2019 at 14:20.